Toricellia angulata Oliv. var. intermedia (Harms.) Hu, belonging to Toricelliaceae, is a single family and single genus plant. It is distributed in Yunnan, Guizhou, and Sichuan provinces in China as well as the Himalayas. In Chinese folk medicine, T.angulata is used to treat bone fracture, tonsillitis and asthma. It can also be used to expel wind, remove dampness and promote blood circulation to remove blood stasis (Wu, 1990). During our investigation of the chemical constituents of this plant, nine compounds have been isolated and identified as two iridoid glycosides, griselinoside (1) and 10-griselinosidic acid (2), two phenylpropanoid glycosides, syringin (3) and coniferin (4), two flavonoid glycosides, quercetin-3-O-glucoside (5) and astragalin (6), a diterpenoid, phytol (7), β-sitosterol, daucosterol, respectively. Among these nine compounds, compounds 2, 4, 5, 6, 7 were obtained from this plant for the first time. A new peroxide compoudn,bungein A,was isolated from the aerial parts of Clerodendrum bungei Steud. collected at Meishan County,Sichuan,China. Its structure was elucidated by the spectroscopic methods. The peroxide comound was obtained from Clerodendrum genus for the first time. Eleven compouds were isolated from the inflorescence of Balanophora harlandii Hook.f. On the basis of spectroscopic data,their structures were established as clerosterol (1),clerosterol-3-O-(6-O-palmitoyl)-β-D-glucopyranoside(2),(-)-lariciresinol(3),(-)-pinoresinol[(-)-pinoresinol](4),β-amyrin(5),lupeol acetate(6),palmitic acid(7),1-O-caffeoyl-β-D-glucopyranose(8),1-O-caffeoyl-(6-O-galloyl) -glucopyranose(9),1-O-caffeoyl-(4-O-galloyl)-β-D-glucopyranose(10)and gallic acid(11)respectively. Among them ,compounds 9 and 10 are first isolated from plants,and 1,2,8 and 11 are first obtained in the family Balanophoraceae. In order to investigate the relationships between Roegneria.ciliaris(Trin. )Nevski and R.alashanica Keng,and between R.ciliaris and R.magnicaespes D.F.Cui.R.ciliaris(Trin. )Nevski was crossed with the other two species,through the aid of embryo rescue. Hybrids were obtained from these two combinations.Chromosome pairing behavior of parents an dhybrids was observed at metaphase I of pollen mother cells. Meiotic configuratons were 10.62Ⅰ＋8.17Ⅱ＋0.32Ⅲ＋0.02Ⅳ for R.ciliaris×R.magnicaespes and 18.00Ⅰ＋4.76Ⅱ＋0.16Ⅲ for R.ciliaris ×R.magnicaespes;c-value of the two hybrids were 0.44 and 0.21,respectively. 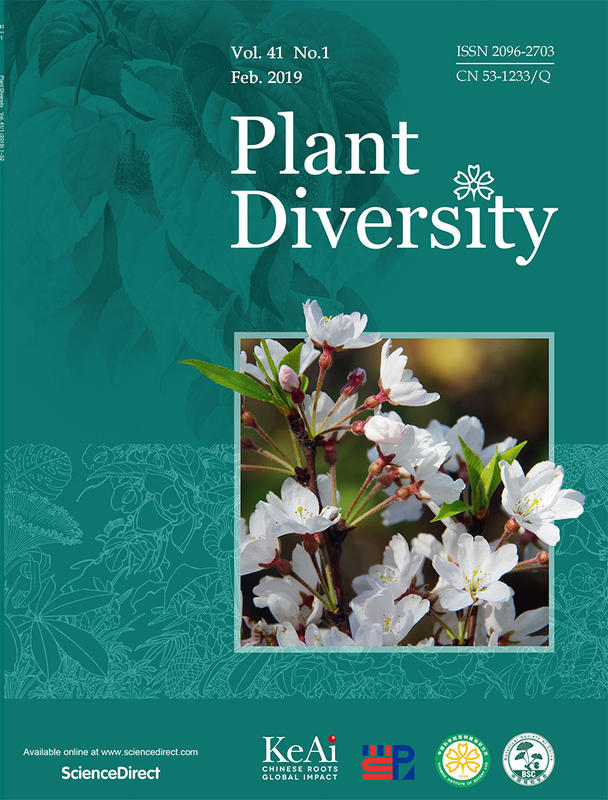 The present paper reports the chromosome numbers and karyotypes of 9 populations of Allium przewalskianum(Liliaceae). The results are as follows: the populations distributed in lower altitudes such as Huangyuan,Xining and Gonghe are diploid,with karyotype formulas,2n=2x=16=14m+2st(2SAT) (Huangyuan population,Xining population) and 2n=2x=16=12sm+2st(2SAT) (Gonghe population);other population distributed in higher altitudes such as Maqin Yushu,and Nangqian are all tetraploid with 2n=4x=32=28m+4st(2SAT)(Yushu population 1,Nangqian population 1),2n=4x=32=24m+4sm+4st(Maqin population,Yushu population 3) and 2n=4x=32=26+2sm+4st(Yushu population 2). The subcosmopolitan genus Amanita consists of nearly 500 species decribed and accepted worldwide. In the literature about 100 taxa og the genus were reported in China.However,many of them were originally described in Europe or in North America. Recent studies have indicated that Amanitae in East Asia are unique and have their own geopraphical ranges.ALthough some species foud in East Asia are similar to those occurring in Europe,or in North America,careful observations in the field,detailed morphological,anatomical study an dmolecular analysis show that the mushrooms in East Asia are distinct taxa. Pollen morphology of the Chinese montyhpic genus Dichotomanthes ad its out-group Pinsepia utilis were investigated from the point of view of pollen development. The SEM observation revealed that there is not any change i morphology and sculpture of pollen grains from the young pollen grain speerated from callose of tetraspore to the mature pollen grain in Dichotomanthes tristaniaecarpa.Only the volume of pollen grain increased with maturity. In Prinsepia utilis,However,the appearance of pollen grains in young and mature stage varied a great deal. The mature pollengrains are amb 3-lobed circular,equatorial outline shaped as sheroidal,exine sculpture with parallel striate. The young ones,however,have a rather special apperance:amb 3-deep lobed circular and with the angulaperturate. Species B.asperifoliae Irmscher et B.labordei Lévl. affinis, differt ab illa scapis efoliolatis, laminis foliorum non lobulatis vel duplicato-serratis, tepalis exteriorbus ovato-lanceolatis apice acuminatis; ab hac inflorescentiis typice symmetrico-dicharioidibus, tepalis floris feminei 5, quorum exterioribus 2 apice acutis, stylis omnino discrets. Ten phenolic compounds were isolated from the fresh leaves of Myrica nana Cheval. They were identified as myricetin ,myricetin 3-O-α-L-arabino-pyranoside,myricitrin 3-O-β-D-ranoside,myricitrin（myricetin 3-O-α-L-rhamnopyranoside）,kaempferol 3-O-β-D-gucopyranoside、(-)epigallocatechin 3-O-gallate,(-)epicatechin 3-O-gallate,prodelphinidin B-2,prodelphinidin B-2 3′-O-gallate and gallic acid,respectively,by means of spectral methods. A new minor diterpenoid alkaloid ,anmed spiramine W(6),together with five known diterpenoid alkaloids,spiramines A(1),B(2),P(3),U(4),and spiradine F(5),was isolated from the roots of Spiraea japonica var.acuta Yu. Their structures were determined by detailed interpretation of spectral data. Six triterpenoid saponins A-F were isolated from the of Lonicera japonica. Their structures were determined on the basis of chemical and spectral data evidences. The structure of a new triterpenoid saponin F was determined as ：3-O-β-D-glucopyranosyl(1→4)-β-D-glucopyranosyl(1→3)-α-L-rhamnopyranosyl(1→2)α-L-arabinopyranosyl-hederagenin-28-O-β-D-glucopyranosyl(1→6)-β-D-glucopyranosyl ester。Other known saponins were identified as:hederagenin-3-O-α-L-rhamnopyranosyl(1→2)-α-L-arabinopyranoside(A)，3-O-α-L-rhamnopyranosyl(1→2)-α-L-arabinopyranosyl-hedergenin-28-O-β-D-xylopyranosyl(1→6)-β-D-glucopyranosyl ester(B) ect..
A ne steroidal saponin,named chloromaloside E,was isolated from the fresh rhizomes of Chlorophytum malayense,together with three known saponins,chloromaloside A-C. Using the spectral and chemical methods,the structure of chloromaloside E was elucidated as 26-O-β-D-glucopyranosyl-22 hydroxy-25(S)-5α-furostan-12 -oxo-3β,26-diol 3-O-β-D-xylopyranosyl(1→3)[α-L-arabinopyanosyl(1→ 2)]-β-D-glucopyranosyl(1→4)-[α-L-rhmnopyranosyl(1→ 2)]-β-D-galactopyranoside. Three new ent-kaurane diterenoids,xerophilusins G,H and I,were isolated from the leaves of Isodon xerophilus. Their structures were identified by spectral methods. Prethrum cinerariifolium Trev. is the raw industrial material for extracting natural pyethrins,which exists in all parts of Pyrethrum plant,especially in ovaries in capitulum. The oil glands of vessels on ovary walls change from the formation and development to the transformation of secretion in the process of flower bud development ,flowering had seed maturation. The contents of pyrethrins markedly vary in different growing stages. It is divided into eight stages from the flower bud stage to maturation time of seeds,in order to understand the relationship between florets development stage and contents of pyrethrins in capitulum of Pyrethrum cinerariifolium. The bio-activity of three enzymes from vanilla capsules,seeds and peels have been analyzed. The results show that the activity of β-glucosidase in seed is much higher than that in peels. The activity of peroxidase in seeds is zero,but in peels it is at a high level. The activity of polyphenol oxidase in 5 samples are all at a very lower level. The effect of Kinetin(KT) on organ differentiation incucumber cotyledons was studied with the provision of KT stages at the beginning of culture .The results showed that:1) Provision of KT caused a desending rooting,had almost no effect on vegetable bud differentiation ,and was utterly essential to the flower bud formation.2)Provision of Kt caused the content of Putrescine(Put) to the change greatly. It had two peak values,one occurred on the 2nd day,the other on the 6th day,but on the 4th day its content decreased sharply.3) Provision of KT caused the contents of IAA and ABA to decrease significantly on the 2nd day and to rise sharply on teh 4th day for IAA. Based on these results,we discuss the relationship between these physiological changes and flower differentiation. The ultrastruchture of Pollen development from microsporocyte to early 2-celled pollen in Welsh onion cv. Zhangqui was studied by using transmission electron microscopy. At diakinesis intercelluar substance exists between the primary walls outside the callose walls and within the intercellular spaces fo the microsporocytes. This substance still partly remains at tetrad stage. Before meiosis the microsporocytes have lipids in cytoplasm. After microspore mitosis the lipids increase in both number an dsize. In anapase the plastids in microspore cytoplasm accumulated one to several starch grains. In early 2-celled pollen some starch-containing plastids in vegetative cytoplasm also contain liplids. Glycerol-3-phosphate acyltransferase(GPAT) is closely related to the plant chill-resistance.Squash(Cucurbita moschata) and figleaf gourd(Cucurbita ficifolia) are close in taxonomy but very different in chill-resistance.The cloning and sequence of figleaf gourd and squash give us a chance to study the relationship between GPAT an dplant chill-resistance in molecular level,from a few different amino-acid residues compared with the two amino-acid sequences.Among thireen different amino acid residues between squash and figleaf gourd ,three of them are the same as those of chill-resistant plants,Arabidopsis thiliana,redflow(Carthamus tinctorius),pea(Pisum sativum ) and spinach(Spinacia oleracea),with may related to the chill-resistant difference of squash and figleaf gourd. 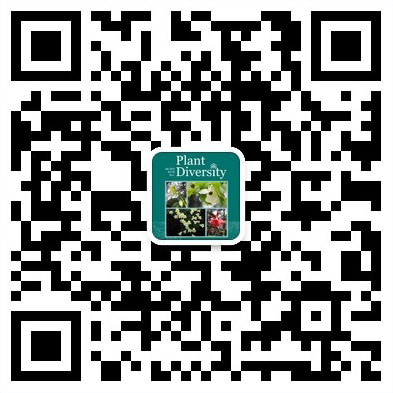 The new distribution data of eight Ranunculaceae species are recorded here.Delphinium anthriscifolium var.savatieri is recorded in Henan,Gansu,Anhui and Hubei provinces.Halerpestes sarmentosa and paeonia veitchii are recorded in Yunnan Province.Halerpestes filisecta is revorded in Qinghai Province. Cimicifuga foetida var.velutina is recorded in Sichuang Province.Cimicifuga simpex and Semiaquilegia adoxoids are recorded in Guangdong Province. They are all recorded for the first time. Besides these,Clematis leschenaultiana var.denticulata is regarded as var.leschenaultiana,and it is firstly recorded in Jiangxi Province. According to the flora balance theory and the research results from the project of "Chinses Seed Plants Flora",China's floristic nature has analysed in the paper. It is subtropical nature as tropical elements being 50.2% and the temperate ones 49.8%,i.e. they are basically balance. However,there are obvious regional differentiation. The tropical elements reach 75%-85% in tropical regions,40%-60% in subtropical,15%-25% in temperate ,and only 5%-25% in cold-temperate,high-cold and Central Asian desert.They become lower and lower gradully from south to north but the temperate elements are on the contrary.The relationships among different geographical elements are dtudied based on the cofficient of similarity between every two elements of families belonging to the 15 distribution patterns of Chinese seed plants genera.